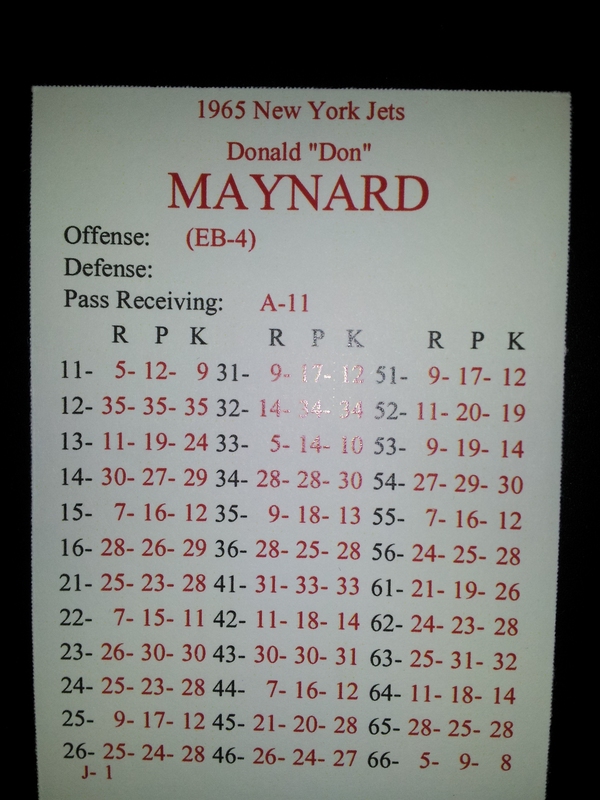 During the 1965 AFL campaign, Don Maynard finished second in receptions and receiving yards. Actual: 68 receptions for 1218 yards resulting in an average of 17.9 yards per catch and 14 touchdowns. Replay: 76 receptions for 1552 yards resulting in an average of 20.4 yards per catch and 12 touchdowns.